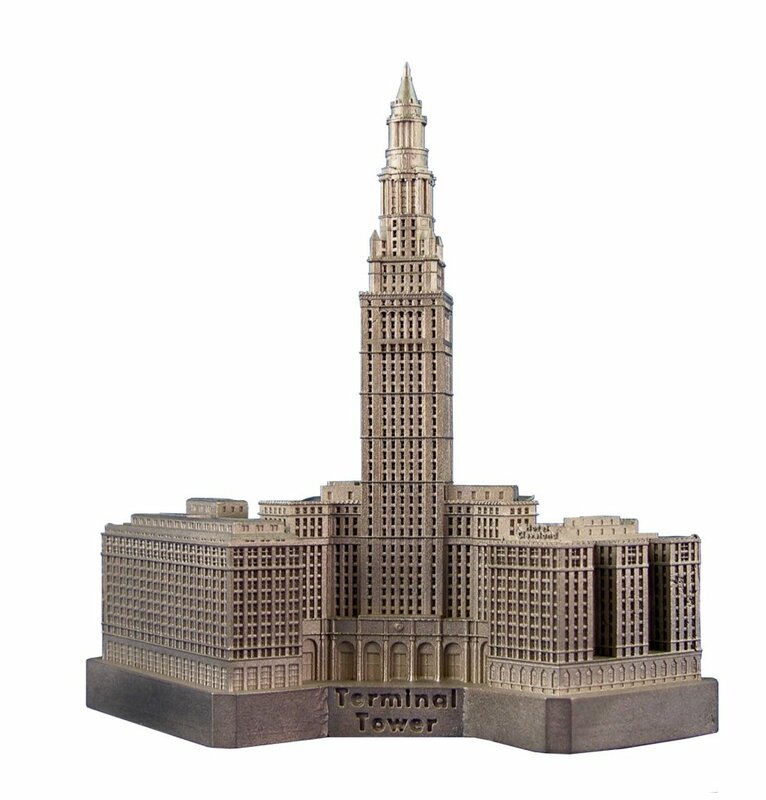 is located at 50 Public Square in Cleveland, Ohio and was completed in 1930. This building was designed by Graham, Anderson, Probst & White Architects and stands 708 feet tall with 52 floors. The Terminal Tower was the tallest building in the USA (outside of New York) for 34 years. Boston's Prudential Tower exceeded its 708 feet in 1964. This pewter replica stands 5-1/4 inches tall and is finished in new pewter.